Elaina Collins has over 15 years of experience in B2B sales, marketing, and lead generation. 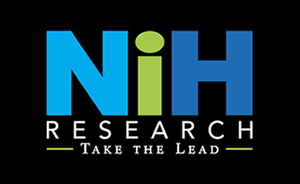 With over 6 years specializing in healthcare, Elaina successfully manages multiple client accounts at NIH Research & Consulting (NIHR) and brings a high level of detail and professional acumen to each and every project. Elaina possesses valuable relationship-building skills and enjoys creating solid connections, identifying information gaps, and posing viable solutions. Elaina is a dedicated Research Analyst and Lead Generation Specialist and prepares multiple clients for upcoming healthcare changes through informative research and industry insight. Elaina works with top B2B sales professionals throughout the nation, helping them to develop meaningful relationships and generate quality leads. Prior to joining NIHR, Elaina specialized in teleprospecting and lead generation for large-scale global companies. Elaina has vast experience supporting sales teams and C-level executives within the communications, manufacturing, and healthcare industries. Elaina is a graduate of Delaware Valley University with a bachelor’s degree in Criminal Justice and Corrections.